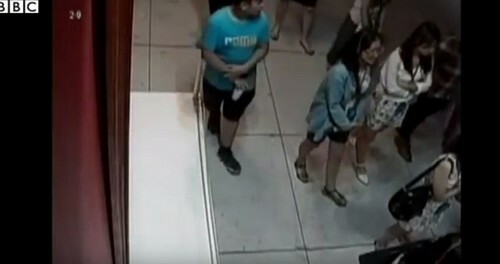 TAIPEI - A 12-year-old boy accidentally punched a hole through a US$1.5 million (S$2.1 million) centuries-old Italian oil painting when he tripped and fell into the piece during an exhibition in Taiwan. The painting, entitled "Flowers" by Italian artist Paolo Porpora, dates back to the 1600s and is part of a collection of 55 artworks on show in the country's capital. 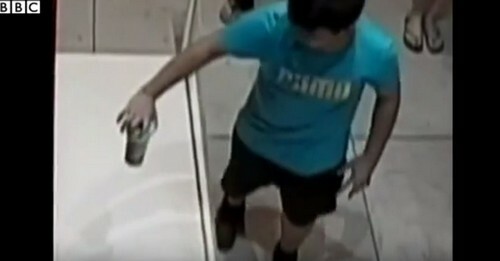 A 12-year-old boy accidentally punched a hole through a US$1.5 million (S$2.1 million) centuries-old Italian oil painting when he tripped and fell into the piece during an exhibition in Taiwan. 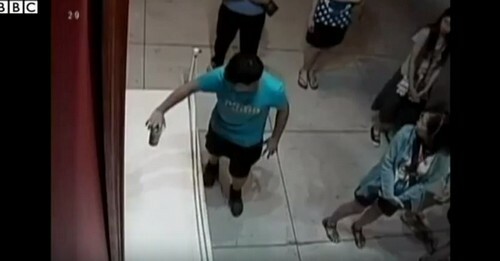 Video footage released by the organisers shows the boy on Sunday trip over a platform in front of the artwork and then brace himself against the painting to break his fall. 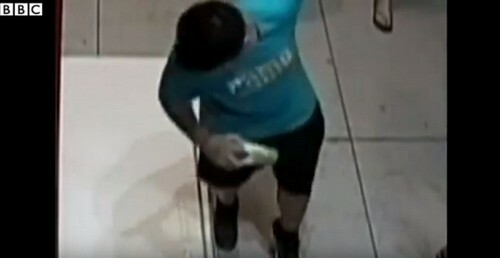 He then looks around helplessly before walking away. 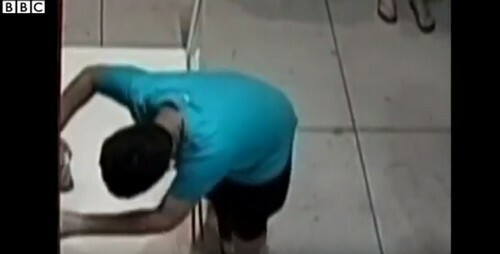 "The child fell and pressed onto the painting, putting a fist-sized tear in it," an employee at TST Art of Discovery, which organised The Face of Leonardo exhibition in Taipei, told AFP. 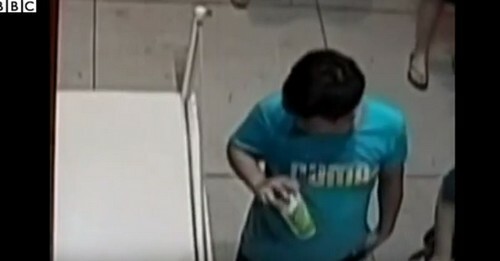 The organisers have decided not to seek damages from the boy's family, according to Central News Agency. The painting was restored on site Monday and is now back on exhibition. 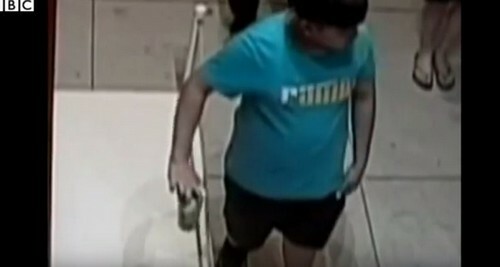 A self-portrait by Leonardo Da Vinci worth 200 million euros (S$323 million) is also being exhibited at the show, according to the exhibition's website. 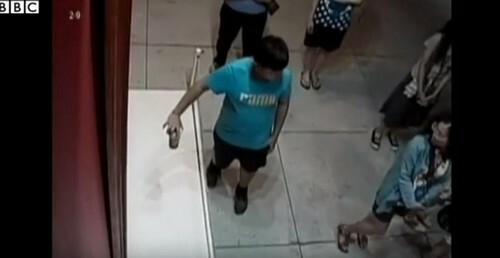 Other museum accidents include when a British man in 2006 smashed a set of 300-year-old Chinese vases after tripping over his shoelaces at a museum in Cambridge. Las Vegas gaming tycoon Steve Wynn that same year accidentally poked his elbow through the canvas of a Picasso painting he had just sold for US$139m. 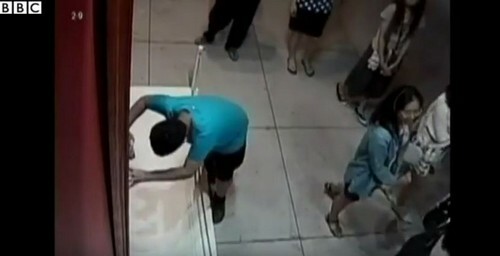 Video footage released by the organisers shows the boy on Sunday trip over a platform in front of the artwork and then brace himself against the painting to break his fall. 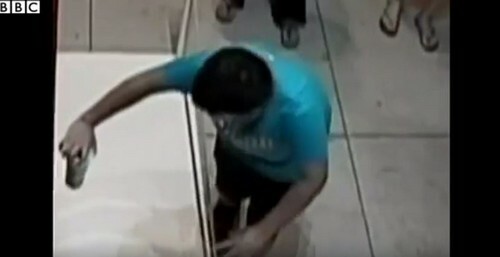 He then looks around helplessly before walking away.